Hi everyone this is my post about my participation in the 30 books in 30 days challenge on Youtube. 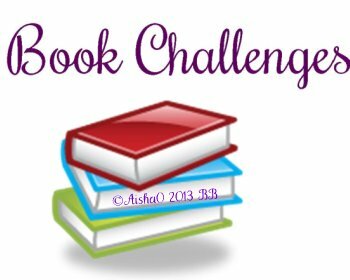 The challenge was started by NerdInTranslation and she started the challenge by stating she wanted to clear up her to be read list, it stated reading books with 200 pages or less. My goal was 200 pages books (or more), & a total of 6000 pages read which would be 30 books read. Heather Graham " The Night is Watching"
Christen Haden " Creepy Crochet"
Kim Lawrence " The Brunelli Baby Bargain"
Alice Hoffman's " Indigo", "Survival Lessons"
So these are my books I completed from June 16th to July 15th. I completed 18 books, for a total of 4975 pages!! Yes I am so excited, if only I could keep this pace up for the rest of the year. Make sure to check out the other vloggers who participated and view their lists as well. Check-out the Shelf on Goodreads.